Like many readers, my introduction to author Lisa See's work was with Snow Flower and the Secret Fan, and like most readers, I instantly fell in love. The book was beautifully written, the story was wonderful. Since reading Snow Flower, I have read most of the rest of Lisa See's work, and own copies of them all. To say that I am a fan of her work just doesn't quite say it all. I recently read her new offering, China Dolls, and I am glad to say that I was not disappointed. China Dolls tells the story of the rise of Asian entertainers on the nightclub circuit during the late 1930s through the mid 1940s, through the lives of Grace, Helen, and Ruby, three separate women who were Asian entertainers during that time. It is in the way that the lives of these three women alternately intersect and diverge that the story of what it was like to be an entertainer on the "Chop Suey Circuit" was like. One of the things that I have always loved about Lisa See's books is the way she uses her characters as the main story-telling agent in her books. In China Dolls, each of the three main characters represent an amalgamation of people that lived in that time in history. Grace is a Chinese born American whose parents moved to the Midwest to raise their daughter as far from other Chinese as possible. Helen is also an American born Chinese, but her parents are living the traditional Chinese lifestyle in a secluded compound in San Francisco's Chinatown. Ruby, on the other hand, is the girl who wants to be totally American in every way, using American slang and dressing American whenever she can, but who is hiding more of a secret that just her wish to be American and not Asian. I have to say, I am continually amazed at how Lisa See is able to come up with such vibrant, realistic characters that effectively represent a section of Asian culture and history time and time again. Her characters are so well crafted that they become very real to me, and stay with me long after I have read the book. 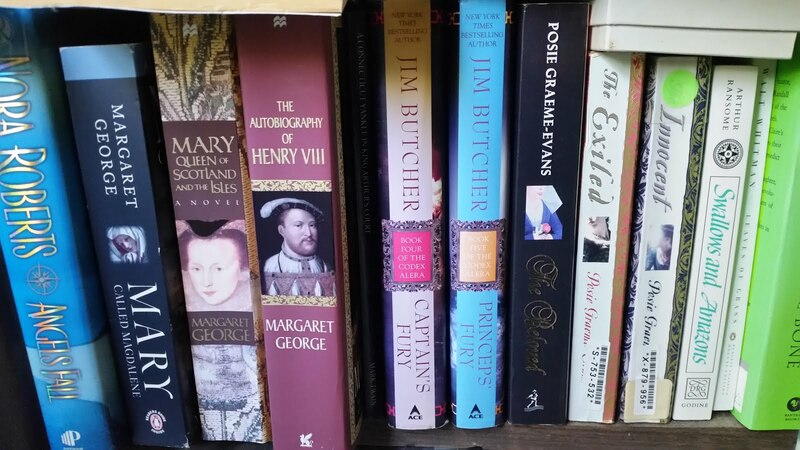 Another strong point of the book, and Lisa See's writing in general, is her excellent knowledge of the history and culture of the subject that she is writing about. Her research into the subject is always spot on. In the case of China Dolls, the main nightclub in San Francisco, The Forbidden City, really existed, showcasing first Chinese entertainers, and later Asian entertainers of all kinds well into the 1950s. Many of the characters in the book were actual owners or entertainers at the nightclub, although in many cases she has changed their names. Other characters are an amalgamation of several entertainers from that time. In addition, the lives of the women outside the nightclub are spot on and truly represent what it was like to live at that time. The only thing that felt a bit off in this book, though, was the intense level of competition between the women. Over time, I have become used to the deep and intense friendships between the characters in Lisa See's books. The kind of friendships that, even during fights or disagreements, never really waver. In this light, I was not really prepared for the amount of discord between the three main characters of this story. At times it seemed that Grace, Helen, and Ruby were always trying to one-up each other, or in some cases, actually turn each other against the others. As characters, they were much more manipulative and shallow than what I am used to in Lisa See's characters, and each one was a diva in her own way. In retrospect, though, I feel that their behavior is justifiable to the story and culture that they represent. After all, the entertainment business has always been a bit dog eat dog, and being in a section of it where the jobs were fewer and competition was higher would only highlight that type of behavior. Although this was not my favorite Lisa See book (that would be Shanghai Girls), that fact that I am giving a 4.5 rating to a book that is not my favorite speaks volumes. 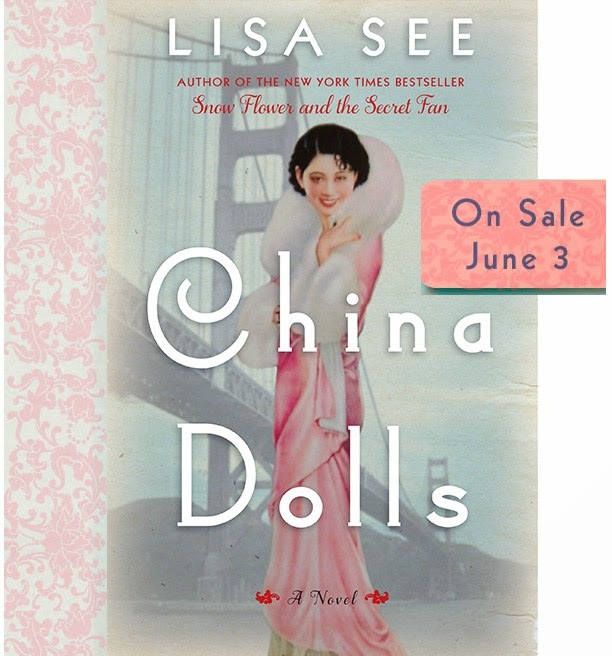 Lisa See has yet to disappoint me, and China Dolls is no exception to that rule. In fact, I stayed up one night until 4am to finish it, and then was disappointed because it was over and I read it so fast. I highly recommend this book for fans of Lisa See and fans of Chinese American culture. You will not be sorry. Additional Note: I was excited to find that The Forbidden City nightclub, which played a central part in this story, was actually the inspiration of the musical Flower Drum Song, which is my favorite musical of all time.